Home Family genetics Healthy home pregnancy Prenatal sexual health Do You Need A Genetic Counselor? Some would say your genetics are everything. Genetics can tell a tall of your past heritage and possible future health challenges. According to the National Society of Genetic Counselors (NSGC), Genetic counselors are professionals who have specialized education in genetics and counseling to provide personalized help patients may need as they make decisions about their genetic health. 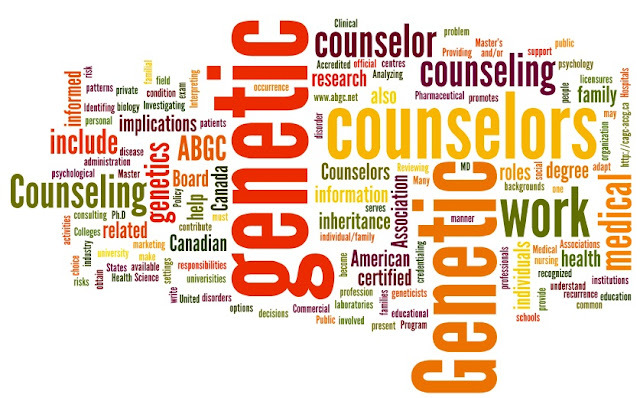 Today, there are more than 4,000 certified genetic counselors. If you answered yes to any of the points above, then a prenatal screening by an obstetrician may be an option. Noninvasive prenatal testing analyzes a blood sample from the pregnant mother in order to analyze DNA from the fetus without the risks associated with procedures that may disturb the fetus. The information from this test can tell your healthcare provider if your baby is at a high risk of having a condition that may affect his or her health, for example, Down syndrome. 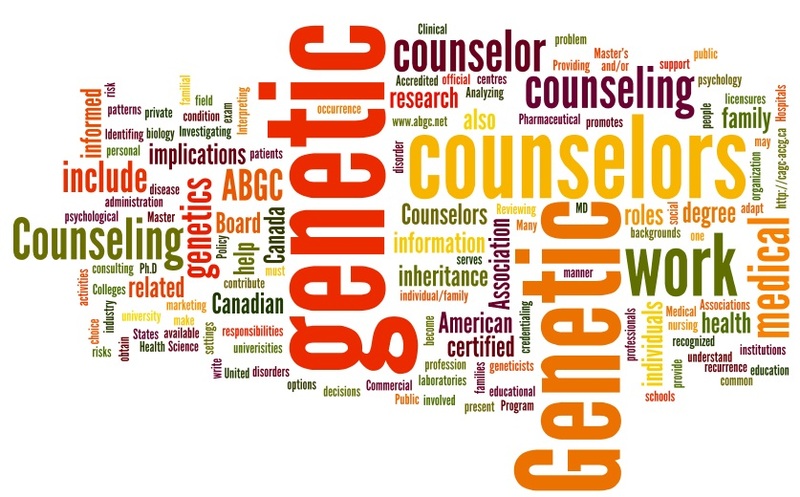 How Can a Genetic Counselor Help You? Genetic counselors thoroughly explain prenatal screening and prenatal diagnostic options, in addition to giving you information about the genetic disorder in question and how it may affect your child. They also help you understand what the results of prenatal tests mean for you and your baby. It is important to understand the options that are available for prenatal testing in order to make an informed decision about whether you would like to have a test done. Additionally, your genetic counselor will help you cope with the psychological and emotional aspects of going through the prenatal testing process. While waiting on the results of your test, you may feel anxious. Your genetic counselor will talk to you and listen to your concerns as well as answer your questions regarding the testing process. What Kind of Information Will I Need to Give a Genetic Counselor? With this information, your genetic counselor will analyze the risk that your baby may have a genetic condition, in addition to explaining how a possible genetic condition may be inherited. 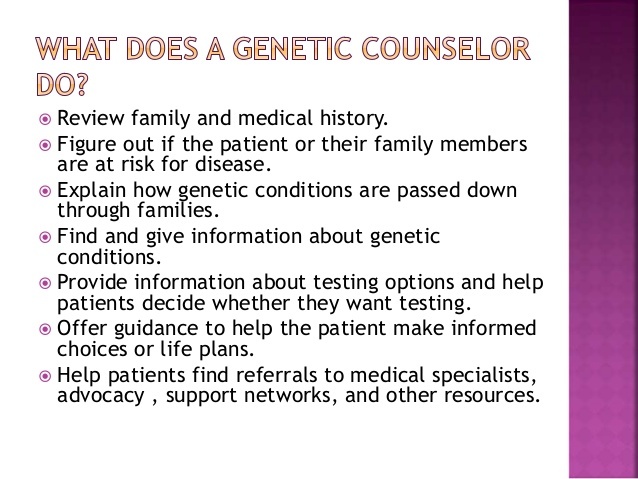 If you’re interested in working with a genetic counselor, talk to your doctor. 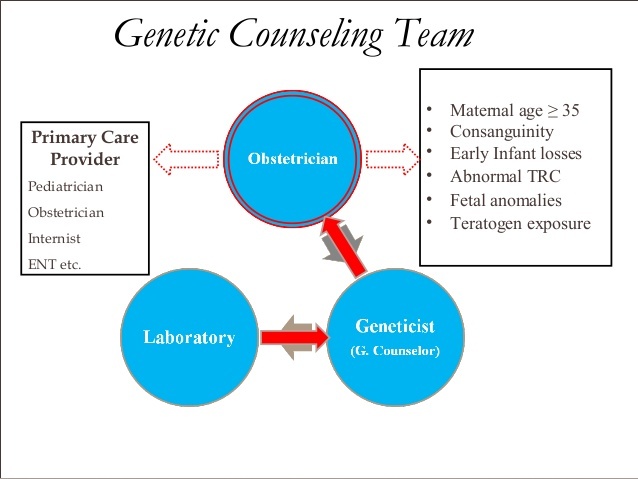 Your obstetrician can give you information for recommended genetic counselors. You can also search for a genetic counselor in your area online through the National Society of Genetic Counselors website. Working with a genetic counselor will help you fully understand and prepare for a healthy pregnancy.